alisaburke: quick tip: use your hands! quick tip: use your hands! If you are looking for a way to loosen up your art... USE YOUR HANDS! It might be uncomfortable but only using your fingers and hands is a really creative and challenging way to make expressive and unique marks and a great way to let loose! You will be surprised just how interesting those marks can be when you limit your supplies. Each of your fingers have the ability to create different marks. Try dragging, dipping, tapping, dotting and swiping alone or all together. The palm of your hand is great for applying larger areas of color, blending and even making unique marks. 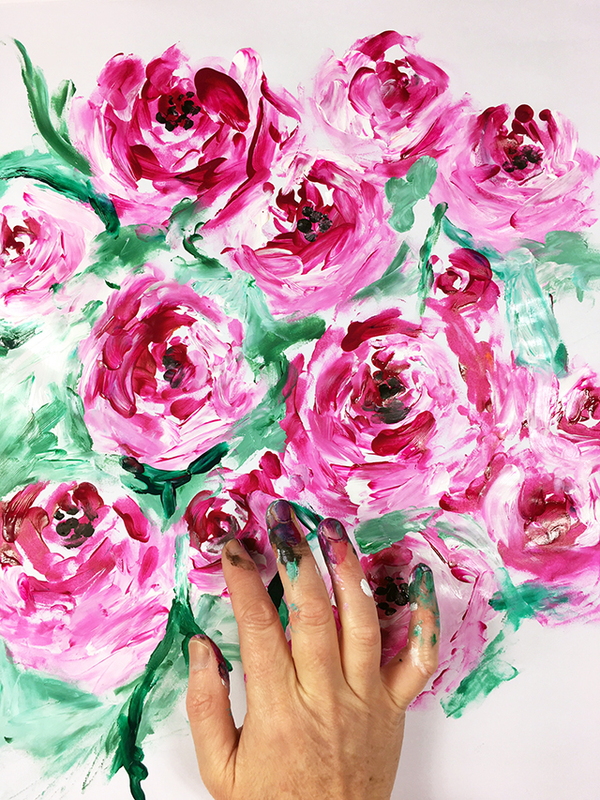 The side of your hand can also be used for applying lots of color, making shapes and even pattern by repeating it over and over again. batch of messy pouches in the shop!